A photo of a hand holding the stone to show scale. 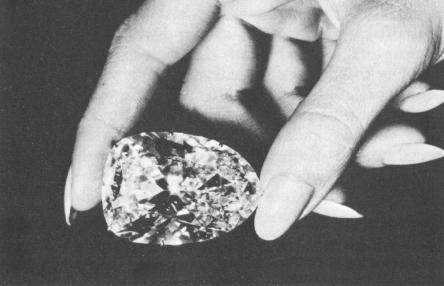 The choice of the name for the large diamond was explained by Morris Zale, one of the two brothers who had founded Zale Corporation. 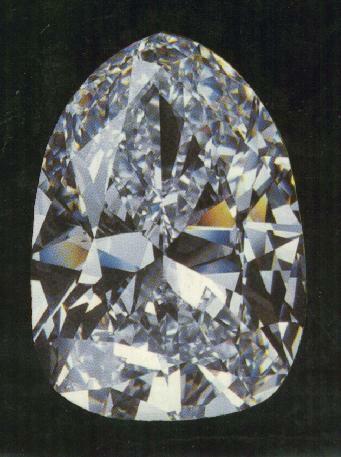 He stated, "Once we acquired the diamond, it was suggested that perhaps we could use this great find to make a small contribution to promoting peace. We also felt that it was time for private industry to begin taking a more active role in promoting peace which has, up to now, been essentially a government function." Accordingly Zale Corporation set up a fund with money recieved from the many showings of the diamond, the proceeds being donated to a cause for peace. In 1980 Zale Corporation sold the Zale Light of Peace to an undisclosed buyer. Explaining the decision to sell the diamond, Donald Zale said: "Over the years we had so many inquiries about the diamond that we put a price on it and said not to call unless the enquirer were willing to pay the price ... Somebody called." The Zale Light of Peace was graded as being D-color and VVS1 clarity.